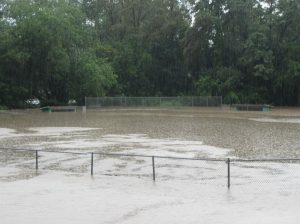 A series of photos shows the pavilion at the Meshoppen Community Park taking on water before the picnic tables floated away. 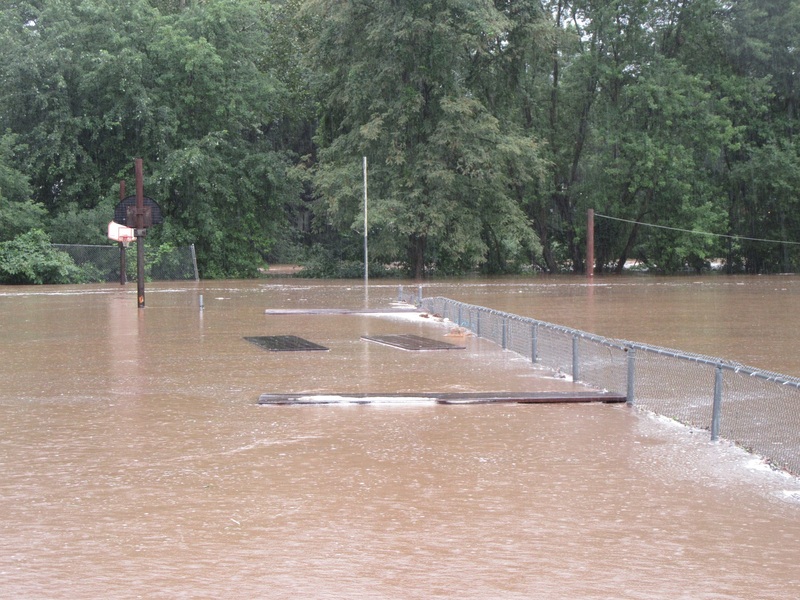 Anxieties in flood-prone Meshoppen rode high on Tuesday when Meshoppen Community Park filled in within the course of two hours. 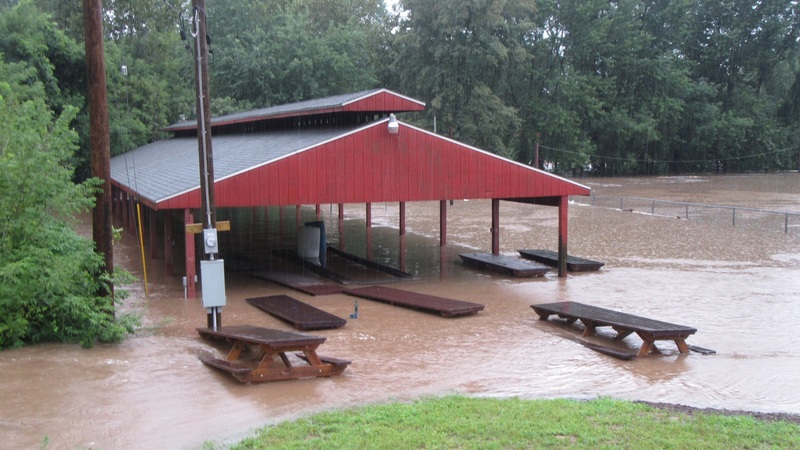 Forecasts crests for the Susquehanna River at Meshoppen were continuously revised upward as heavy rains continues to fall across the watershed. A port-o-potty floated away and most of the picnic tables, which were moved to an area slightly higher than the pavilion, soon also became buoyant and made their way to Meshoppen Creek and the river. The general consensus was that the river would reach approximately 31 feet, but firefighters began knocking on doors along Church Street at nightfall encouraging voluntary evacuation in the event that the river were to reach 34 or 35 feet. 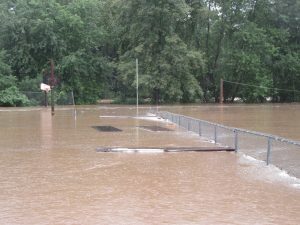 The bulk of the heavy rain shifted east before midnight, causing flash flooding necessitating rescues in the Nicholson area and a second crest of Horton and Tunkhannock creeks. Even though the Susquehanna was just cresting at flood stage in Towanda at 7 am Wednesday morning, the river at Meshoppen had begun to drop slightly from its high of 31.04 feet during the early morning hours to just under 30 feet by 7 am. 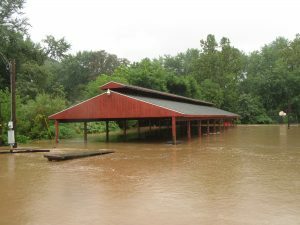 With little to no chance of rain predicted from Wednesday into Thursday, the river at Meshoppen was expected to continue to recede. More showers are expected, however, from Thursday night into Friday. 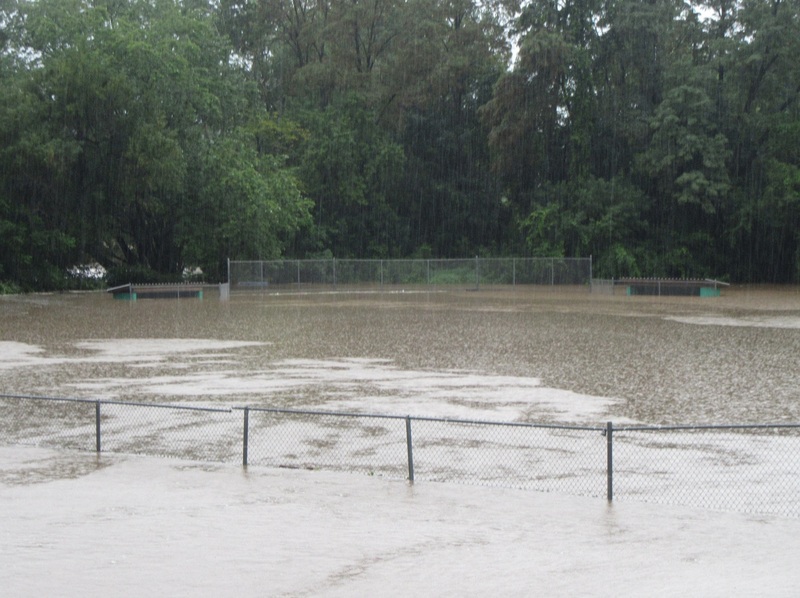 Flood waters eventually reached the roofs of the dugouts in the ball park at Meshoppen.